In simplest terms: Hoover Type R30 Bags keep your Hoover portable canister vacuum continue cleaning your floors and your home’s air. 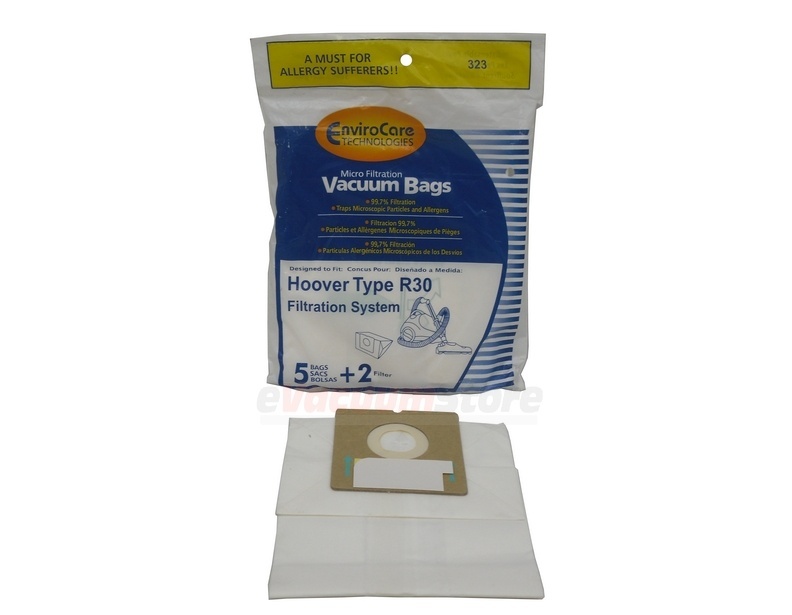 Choose as many packages of the vacuum cleaner bags as you'd like from our large inventory. eVacuumStore.com’s generic R30 bags work as hard as the name brand product and come with the accompanying secondary and final vacuum filter to create a 4 layer filtration system. These bags fit model S1361. If you have any questions regarding the Hoover R30 portable canister vacuum cleaner bags, call (866)-972-8227 today to speak with one of our live representatives to determine if these bags meet your requirements.